A new exhibition "90 Anni. 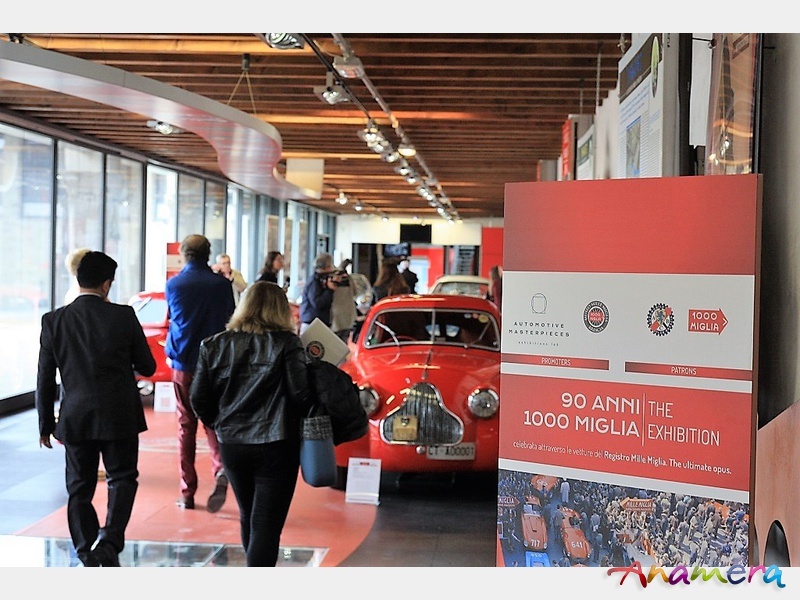 1000 Miglia" will be hosted in the Museo Mille Miglia from May 5, 2017 to January 7, 2018, promoted by Automotive Masterpieces and the Museo Miglia Miglia, with the patronage of the Automobile Club in Brescia. Innovative and 2.0, “90 Anni. 1000 Miglia” will be the unprecedented first exhibition of the cars that took part in the Mille Miglia speed race and that still continue racing to this day. Visitors will be transported back in time to view historical automobiles, including some quite eccentric pieces, jewels of the mechanic’s art that include some outstanding models Made in Italy. In this real, interactive narrative, the cars on display are flanked by touchscreen totems, dedicated websites, photos, videos, press reviews and a lot more, accompanying visitors along a route made up of history and authentic emotions that have been compiled by Automotive Masterpieces with unflagging perseverance, working in partnership with the Museo Mille Miglia. In, addition, the 30 cars on show are displayed in chronological order, so that visitors can learn more about the history and characteristics of each automobile on show by visiting its dedicated website and using the variety of tools that provide access to each vehicle’s extra content: for example the totems located along the exhibition route or the feeds received from the beacons positioned on the cars themselves and the BLE technology (Bluetooth Low Energy). The visitor experience promises to be a real journey through the automobiles that become stories to be told, using a method commonly known in jargon as the “Internet of things”: this is the past that meets the future. 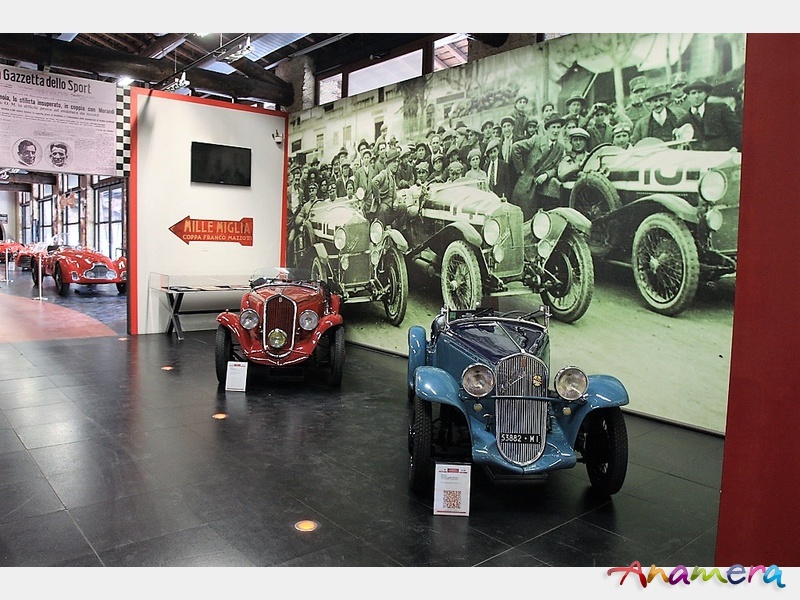 The exhibition is open to the public every day from 10.00 a.m. to 6.00 p.m.
One of these is the 1933 Alfa Romeo 6C 1500 Gran Sport Testa Fissa (Zagato), with chassis number 10814406. This car raced the Mille Miglia in 1934, driven by Anna Maria Peduzzi, known as the “Marocchina”, coming 13th overall and first in its class. Two years later, it was back at the 1936 Mille Miglia with a Swiss team, although it did not rank that time. The car now belongs to an American collector and is one of the favourites for the 2017 Mille Miglia, where it will be entrusted to the well-known racing driver Giordano Mozzi. Another vehicle that passed the preparatory technical checks but then failed to start in the 1940 Mille Miglia because the great driver Luigi Villoresi had an accident is the 1938 Lancia Astura Mille Miglia Sport (Colli), with chassis number 413207, an iconic piece from the Nicolis Museum in Verona. The Astura did take part later on, in 1948, driven by the UK’s Gordon and Macklin, then came back for the 1949 Mille Miglia, driven by Gordon and Lewis (without ranking). 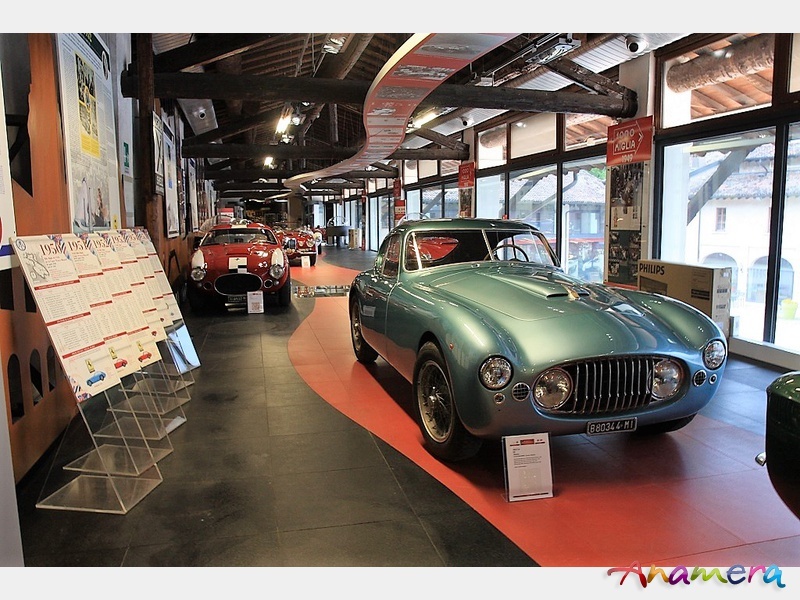 The 1951 Lancia Aurelia B20 GT (Pinin Farina), with chassis number B201246, was recently sold at the 2000 Ruote auction in Milan without any mention being made of its sporting history. The buyer immediately subscribed to the research project. This car ran in the Mille Miglia from 1952 to 1955, driven by Antonio Pozzato (1952 33rd place; 1953 not ranked; 1954 39th place; 1955 not ranked), as well as in many other races. The car will remain on show during a project aimed at restoring and preserving it that is still under way. 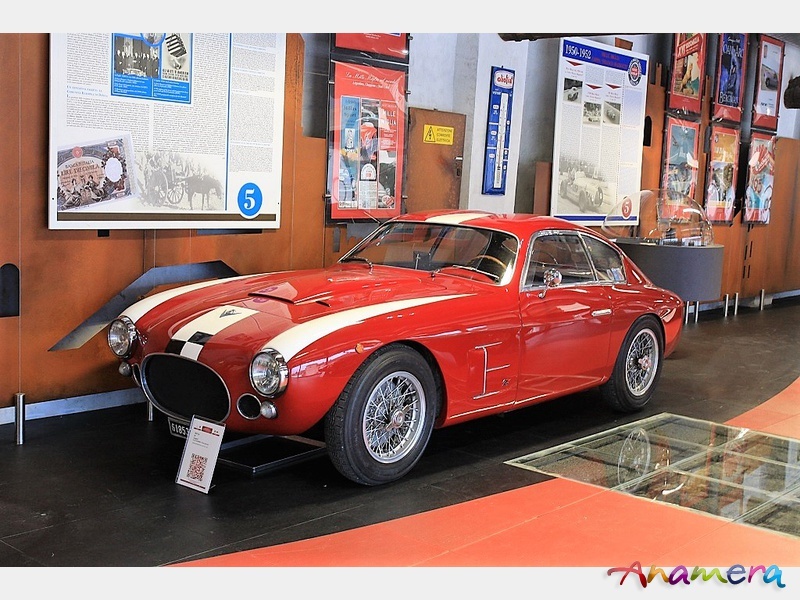 Another car that was driven by Luigi Villoresi in the 1953 Mille Miglia but did not rank because it had an accident was the marvellous 1953 Ferrari 340 MM, with chassis number 0294AM, which first saw the light of day as a touring car and was later adapted by Scaglietti. Certainly an exceptional piece that richly deserves to be seen! The gentleman driver Guido Maria Terzi was the brother-in-law of the official Lancia driver Umberto Castiglioni, better known by the pseudonym of “Ippocampo” (which means “sea-horse”), driving a 1955 Lancia Aurelia B24 Spider, with chassis number 1021. They also raced together in 1956, without ranking. Terzi tried again, this time alone, in 1957, when he came in 19th place in all. This model of the Aurelia B24 (made famous in the film Il Sorpasso) raced in two editions of the Mille Miglia! One of the curios on show here is the 1954 Autobleu 750 Mille Miles, with chassis number 1954475, from the Netherlands and fresh out of a restoration project that has given it back the blue colour livery in which it raced in the 1955 Mille Miglia. 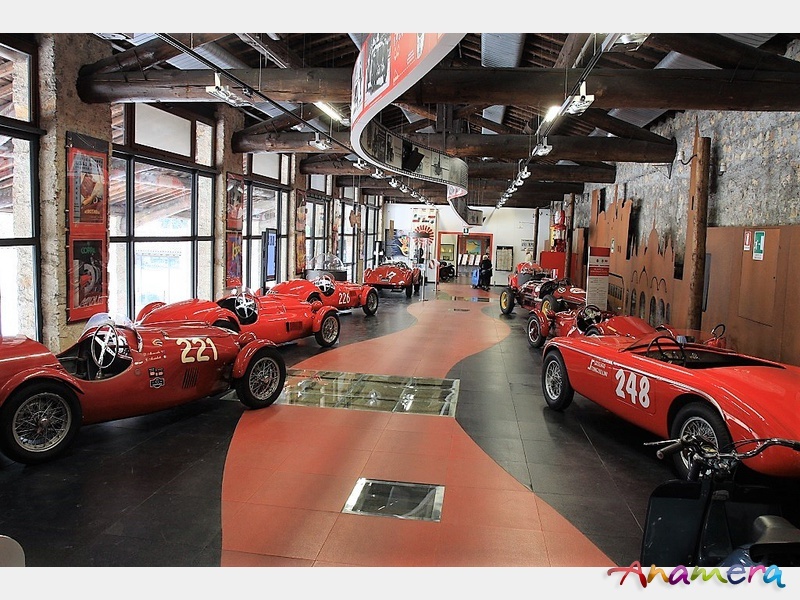 Mille Miglia Museum, open to the public since 10th November 2004, has been conceived to meet the need for hearing living witness to the Mille Miglia, Brescia’s legendary car race. 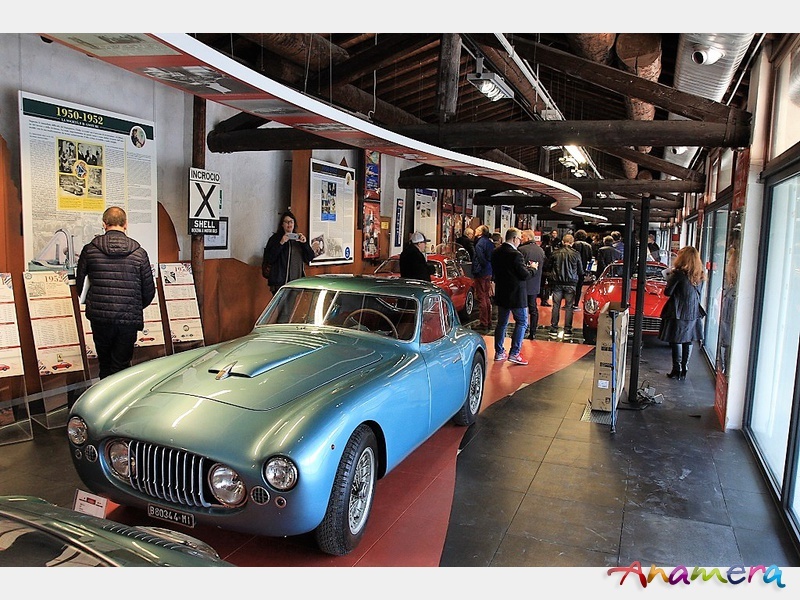 The idea of a museum dedicated to the Red Arrow was launched and implemented by the Associazione Museo della Mille Miglia Città di Brescia, expressly formed by a few “friends” together with the Automobil Club of Brescia. 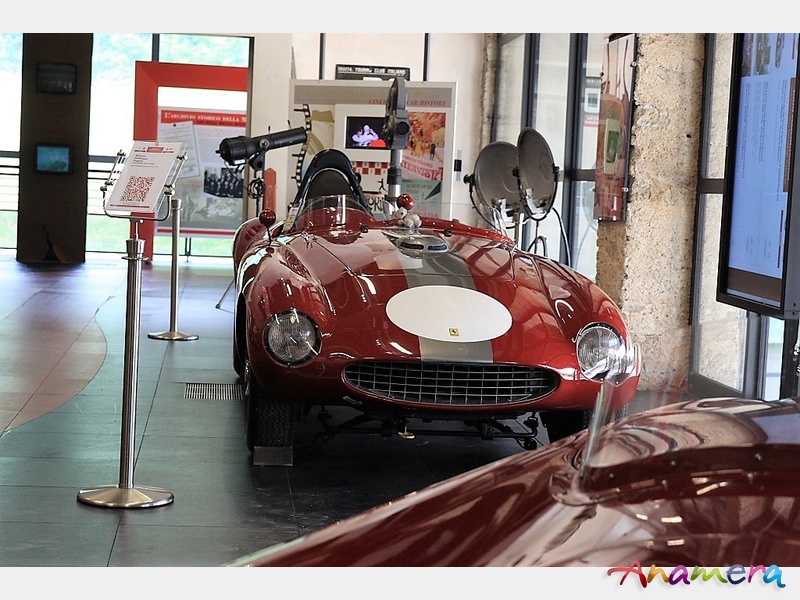 The museum of the legendary race “Mille Miglia” is situated inside the Monastery of Saint Eufemia, a beautiful building complex of immense archaeological, historical and architectural value. 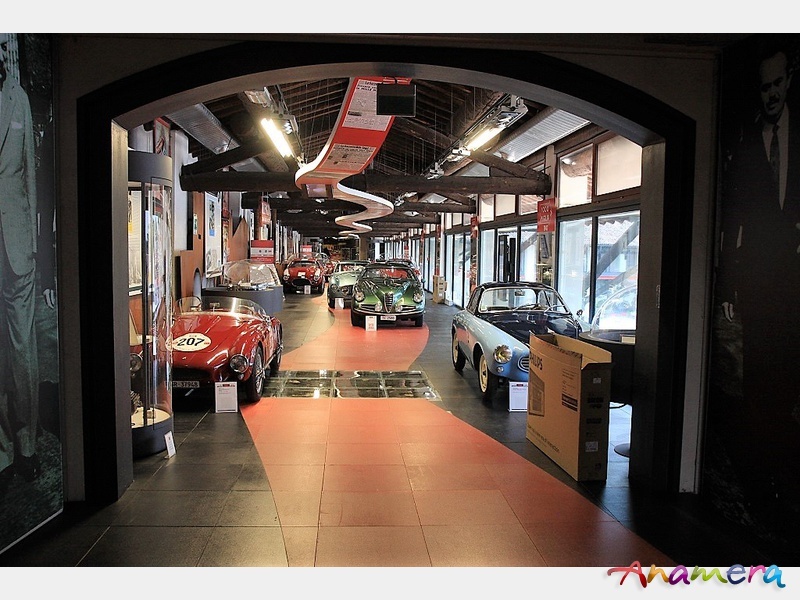 The good position and the important history of the building give to the Mille Miglia Museum further prestige. The Museum dedicated to the Mille Miglia competition was born to carry out an ambitious cultural and educational project: to help visitors to appreciate such an extraordinary sporting event while illustrating a cross section of Italian culture, history and social customs between 1927 to 1957, also through description and presentations of monuments and places, towns and regions, included edition after edition in the route of this epoch making event. 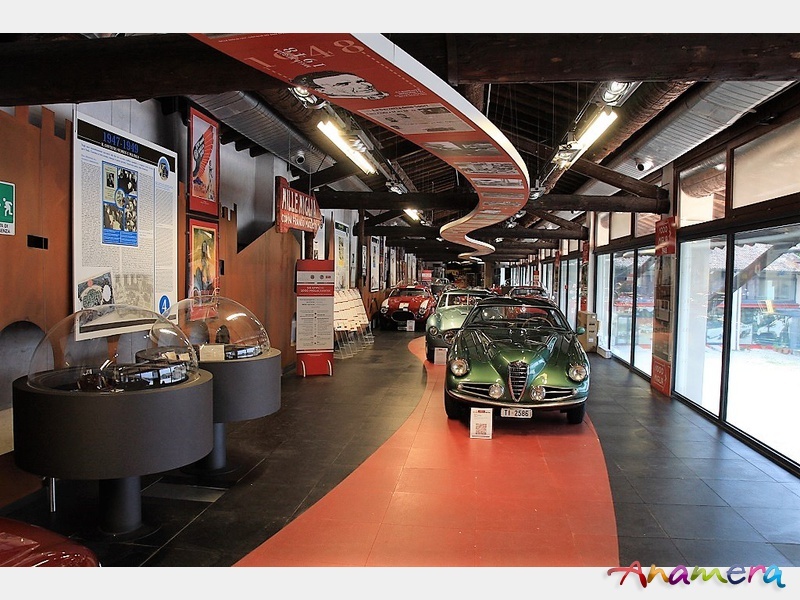 The Museum pathway consists in nine time sections (seven devoted to the 1927-1957 Mille Miglia, one to the 1958-1961 Mille Miglia and one to the contemporary Mille Miglia). Each section is provided with a computer station offering information, race results and images, as well as a few screens where original filmed sequences can be viewed. 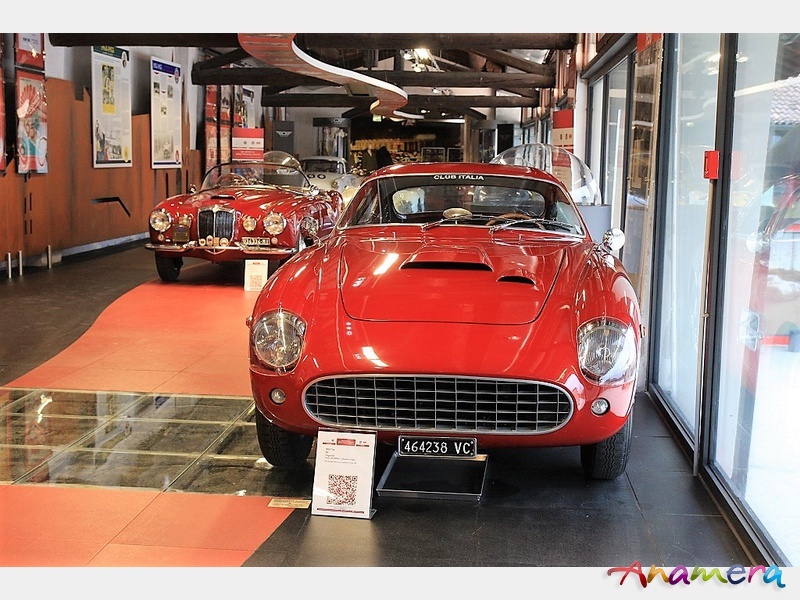 Along the museum pathway are showed private collector cars that are periodically replaced by other in case of participation in event : in particular, the largest turnover usually take place on the occasion of Mille Miglia. 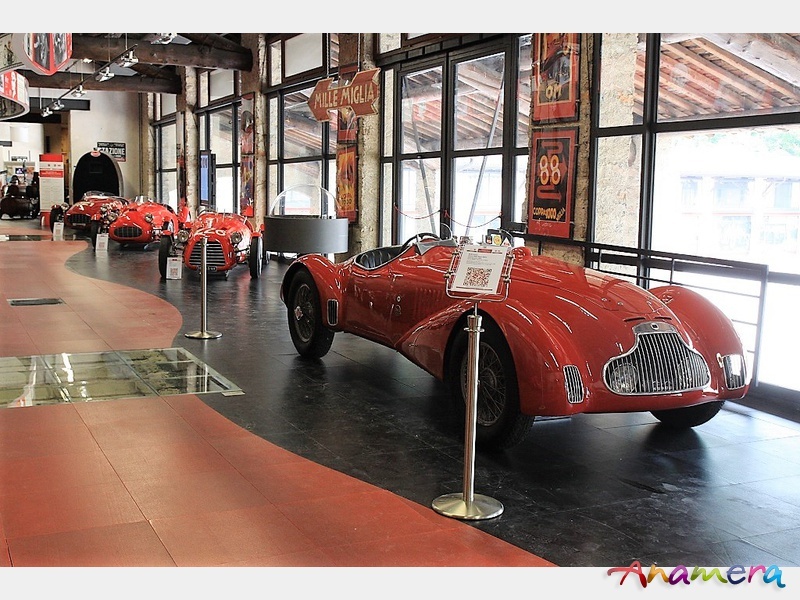 Not a traditional museum, therefore, but rather an exhibition space of great architectural value, where visitors can cover –not only theoretically- the entire physical and historical route of the Mille Miglia across Italy, passing through regions, cities and crowds of people. The route it is represented from the entrance to the exit by a red walkway meandering across all the sections of the museum. Cars and drivers’ images represent, however, the real protagonists of the exhibition. Many of them are visible at various points along the walkway. 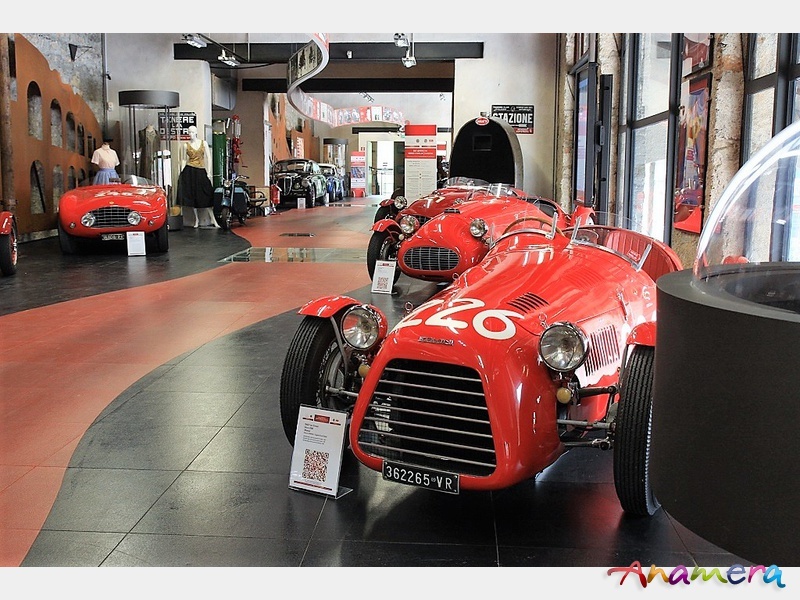 At the end of this virtual journey along the “red street”, the pathway will bring you in an area dedicated to firm and institutions where it is possible to realized particular situation with historical or recent atmosphere of the Mille Miglia race. 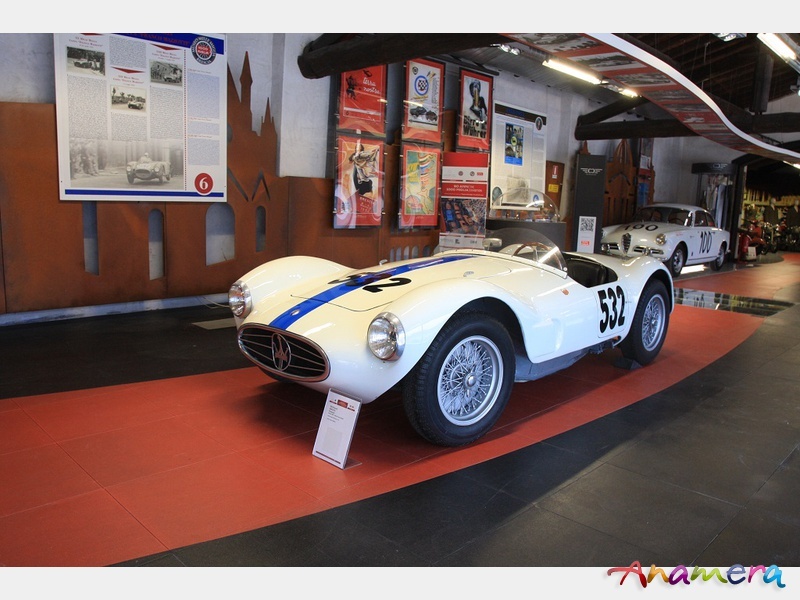 Before the exit of the museum it is possible to visit rare collections dedicated at the historical Mille Miglia competition, located into the old stall of the Monastery.